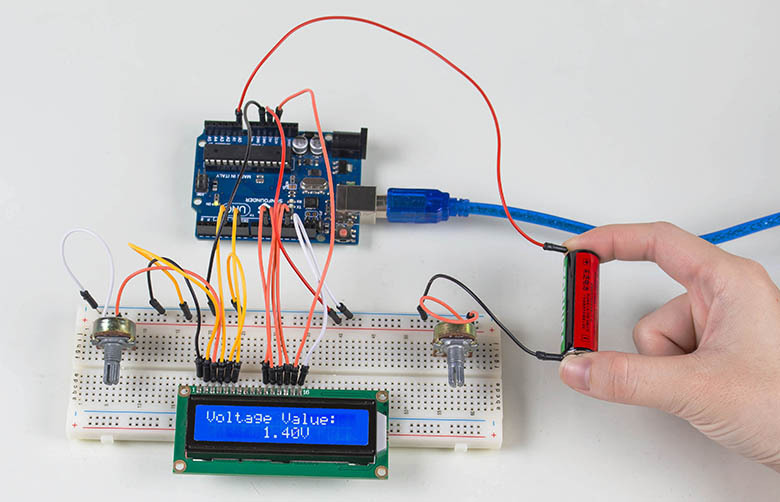 Is there a moment when you want to test the voltage of the device or some point in the circuit, but you don’t have a voltmeter or multimeter at hand? Rushing out to buy? 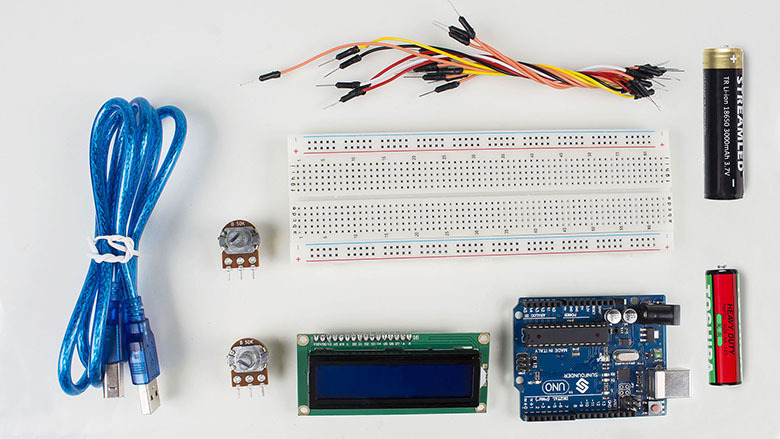 That's a long way and long time… Before you do that, how about MAKING one yourself? 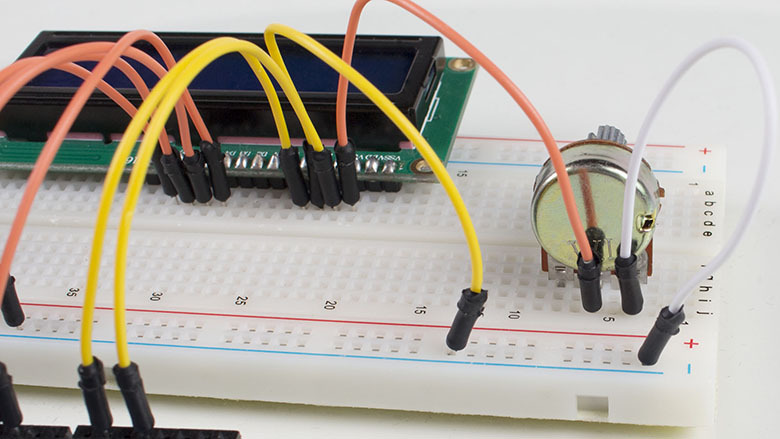 With just simple components, you can try to build one really. Let's check how! Before wiring, let's first get to understand how it works. 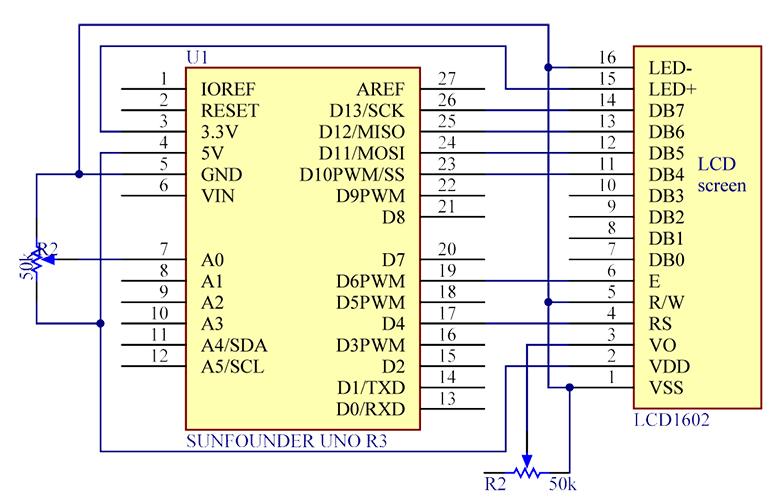 Here use the SunFounder Uno board for the major data processing part of the voltmeter, the LCD1602 as screen display, a potentiometer to adjust the contrast of the LCD and another one to divide the voltage. When you spin the pot connected to the Uno board, the resistor of the pot changes, thus changing the voltage on it. 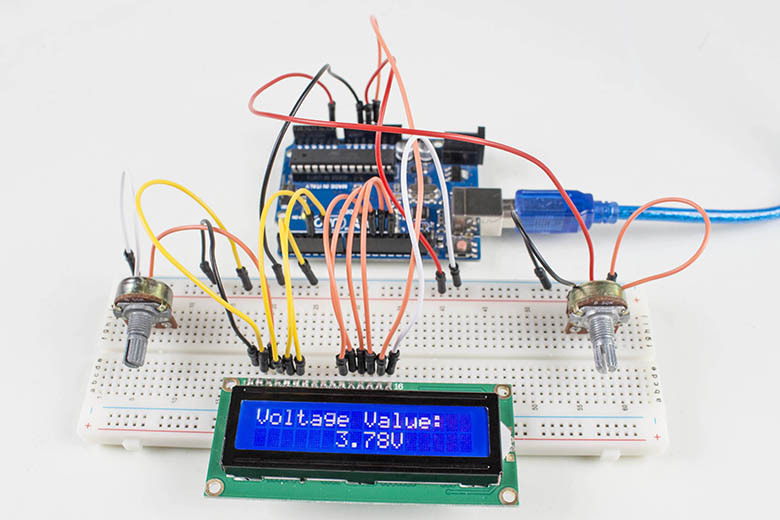 The voltage signal will be sent to the Uno board via pin A0, and Uno will convert the analog signal received into digital and write it to the LCD. Thus you can see the voltage value at the current pot resistance. 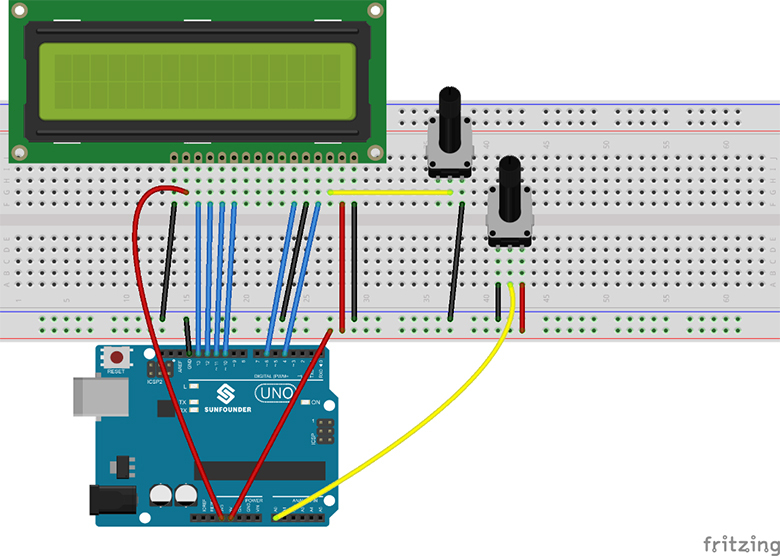 LCD1602 has two operation modes: 4-bit and 8-bit. When the IOs of the MCU are insufficient, you can choose the 4-bit mode, under which only pins D4~D7 are used. Connect the middle pin of the pot to pin Vo of the LCD1602, and either of the rest pins to GND. 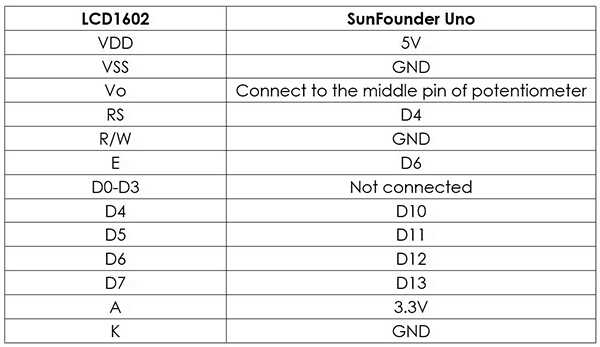 Connect the middle pin of the pot to pin A0 of the SunFounder Uno, and one of the rest to 5V when the other to GND. Here's a tricky thing. After I run the code, characters did appear on the LCD1602. 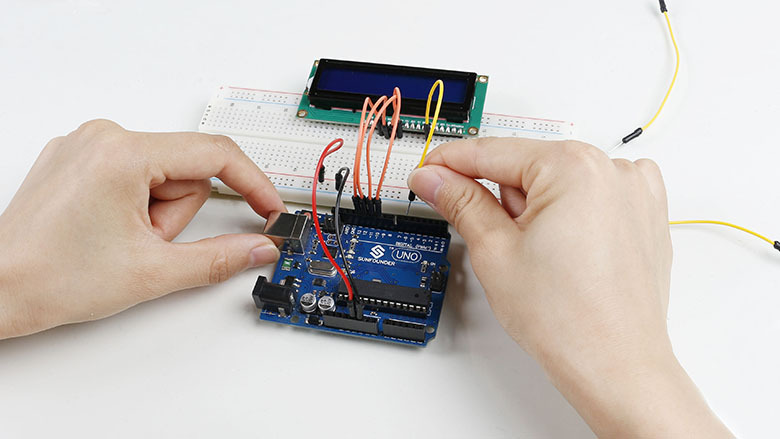 Then adjust the contrast of the screen (the gradual change from black to white) by spinning the potentiometer clockwise or anticlockwise, until the screen displays characters clearly. 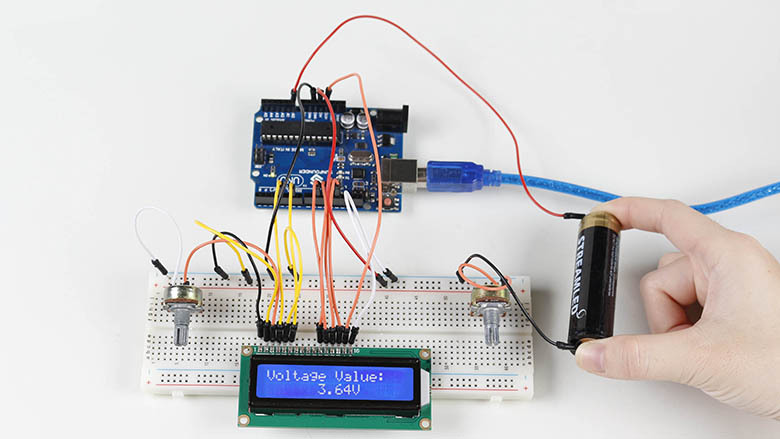 Step 7: Measure the Voltage of a Battery! 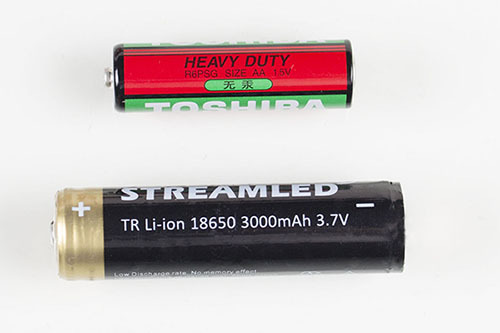 Take two batteries here to measure their voltages: 1.5V and 3.7V. Unhook the second pot's connection to pin A0 and GND, meaning removing the pot from the circuit. Pinch the wire end of A0 to anode of the battery and circuit GND to cathode. DO NOT connect them inversely, or a short circuit will happen to the battery. The value is 0V is inverse connection happens. So, the voltage of the battery is shown on the LCD now. There may be some gap between the value and the rated one since the battery is not fully charged. And that's why I need to measure, because I want to use the battery and not sure whether it's powerful enough. In this way, all problems tackled.